We’ve never seen anything quite like this, but we’re also very happy that we did. Robert Wagner, a Texan resident, decided to take serious action when it came to protecting his home from a potential flood. It was a good thing too, because in June 2016 – Texas was hit by an intense flood. Many thought Wagner was a bit “extreme” when it came to his tactics, but how extreme can someone really be when it comes to the safety and peace of mind of their family and home? 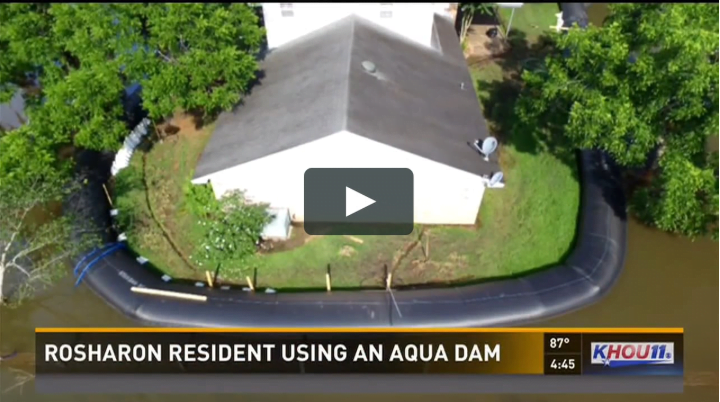 Wagner decided to use a 30-inch (height) AquaDam which cost him around $8,300 to surround his home in Texas. When the flood hit, Wagner’s home looked like an island amidst the flood that surrounded the AquaDam. What do you guys think of Wagner’s tactic of protecting his home? Perhaps we all can’t afford an AquaDam, but we can still definitely afford to keep ourselves as well as our family safe by other means. Insurance is always a good start, because you can’t put a price on peace of mind. Make sure you, your family, and any loved ones are protected by anything and everything.